All products are publicised here as examples of design solutions. This not an endorsement of the design or the company. 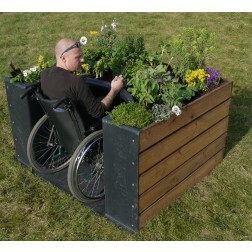 Raised garden or allotment bed that allows access for wheelchair users. Takes account of reach and height requirements.